The Mexican Baseball League (Minor League Baseball, one grade below Major League Baseball (MLB). Unlike the other two Triple-A circuits, the International League and the Pacific Coast League, Mexican League teams are not affiliated with Major League teams. The current champions are the Diablos Rojos del México (Mexico City Red Devils). 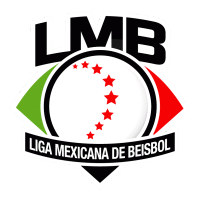 The Mexican League has three minor leagues of its own, the Liga Norte de Mexico, Liga de Beisbol del Noroeste de Mexico, and the Mexican Academy League (a summer and a winter league). An additional baseball circuit, the Mexican Pacific League, is unrelated. The Mexican League was founded in 1925 by sportswriter Alejandro Aguilar Reyes and former baseball player Ernesto Carmona. The league included six teams (74 Regimiento, México, Agrario, Nacional, Guanajuato and Águila). Since then, the league has expanded to sixteen teams, divided equally into a north and a south zone, the champions of which meet to contest a best-of-seven game playoff series. The season begins in mid-March with the playoffs running through mid-August. The ruling went untested until the Mexican League was formed. Players who went to play in the Mexican League were blacklisted from Major League Baseball. One such player, Danny Gardella, was blacklisted because he had violated his contract and gone to play professional baseball in Mexico. During 1948, Gardella brought a claim against Commissioner of Baseball Happy Chandler, the National League and American League, as well as their presidents (Ford Frick and Will Harridge, respectively). Gardella charged that they were engaged in interstate commerce because the defendants had made contracts with radio broadcasting and television companies that sent narratives or moving pictures of the games across state lines. MLB then settled with Gardella and offered all Mexican League jumpers amnesty— protecting the ambiguity of the antitrust protection. During 1949, Gardella won a major appeal against baseball's reserve clause in the federal courts. This successful appeal is recognized as the first major step towards baseball free agency, even though it was decades in the making. During 1979, the Mexican Central League was absorbed into the expanded Liga Mexicana de Beisbol (Mexican Baseball League). The newly expanded league now featured a 20-team circuit with four divisions. However, after a series of team bankruptcies, the Mexican League was reduced to 14 teams in two divisions. The following are the locations of the Mexican League teams. Red markers indicate teams in the South Division, while green markers indicate teams in the North Division.